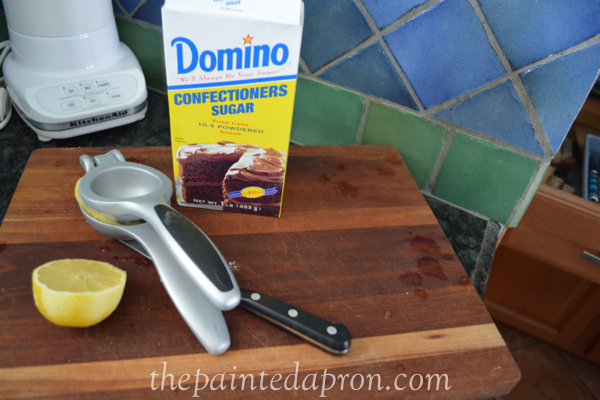 This recipe is adapted from Betty Crocker, who doesn’t trust good ole Betty? 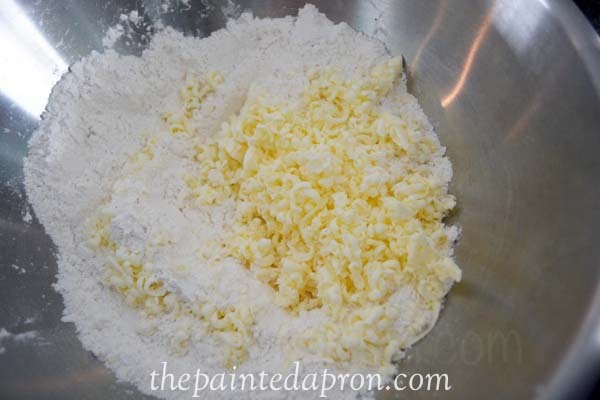 Mix flour, 1/3 cup sugar, baking powder, baking soda, and salt in a bowl. 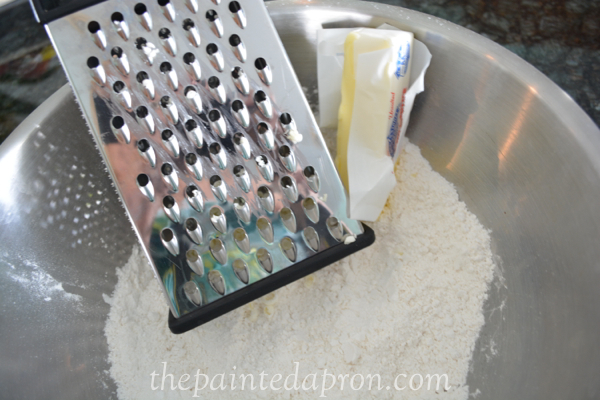 Grate frozen butter into flour mix. Work with fingers until mixture resembles coarse meal. 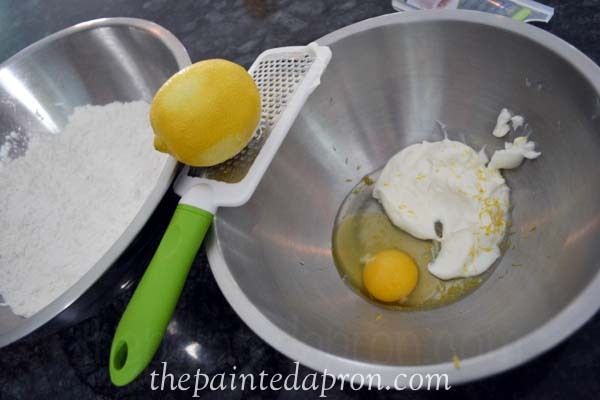 Mix sour cream with lemon zest and egg in a small bowl. 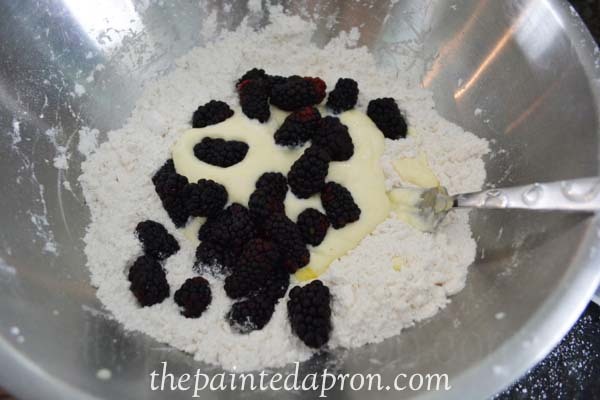 Stir into flour mixture with blackberries. 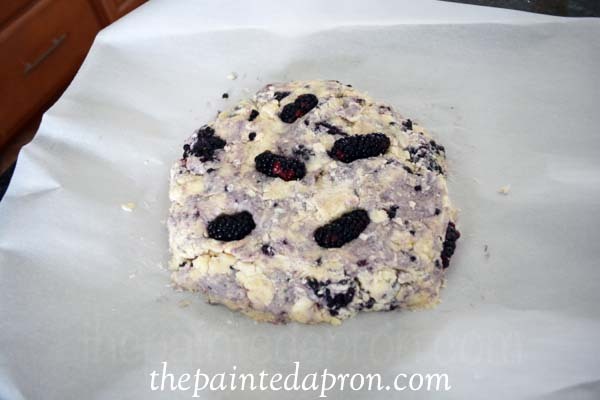 Stir until dough comes together, don’t worry if berries become slightly crushed. 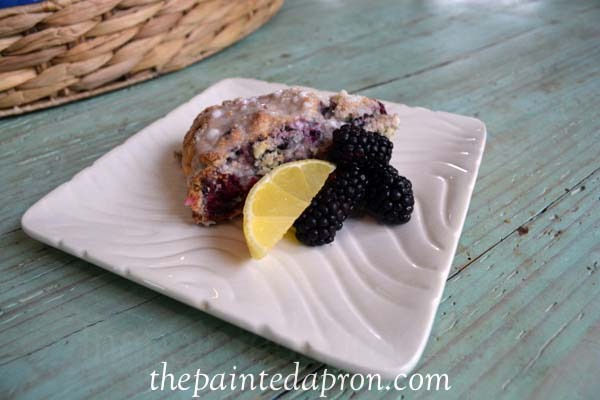 Blackberries are one of my favorites so I’m sure that I would love these. Happy 4th of July to you and your family! 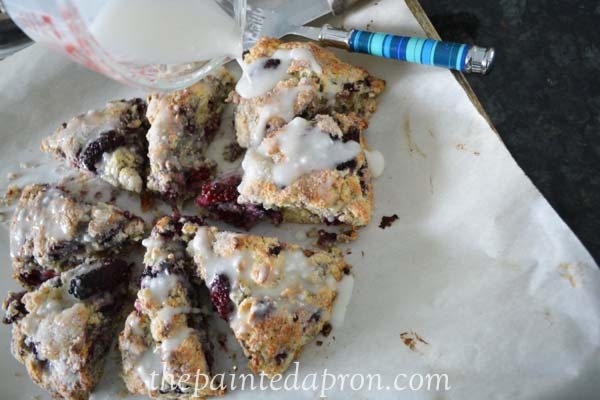 I am about to have my first cup of coffee, and it would be very nice to have one of your scones as well. Lucky hubby. These look luscious! My blackberry bush has yielded quite a few this year. I have given them away or frozen them, not being ambitious enough to cook very much yet. Happy Birthday to HH! Thank you – Happy 4th to you and your family! Our husbands share a birthday very close to one another. 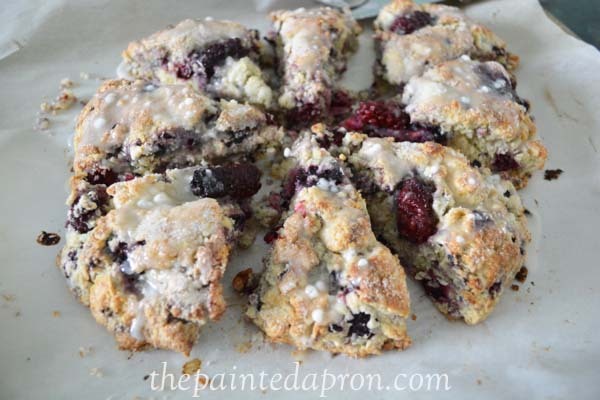 These scones would be perfect for the fourth of july breakfast. 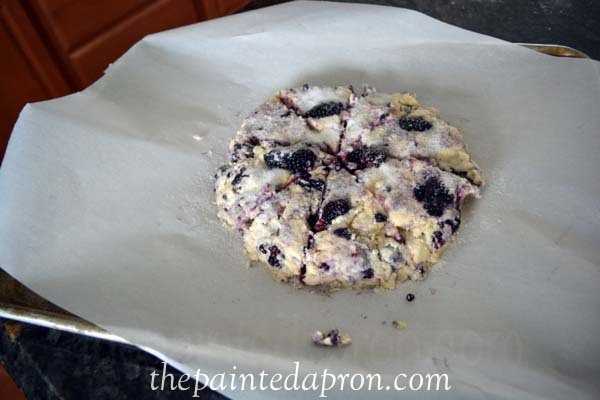 Oh yum, I can’t wait to make this. How fabulous. 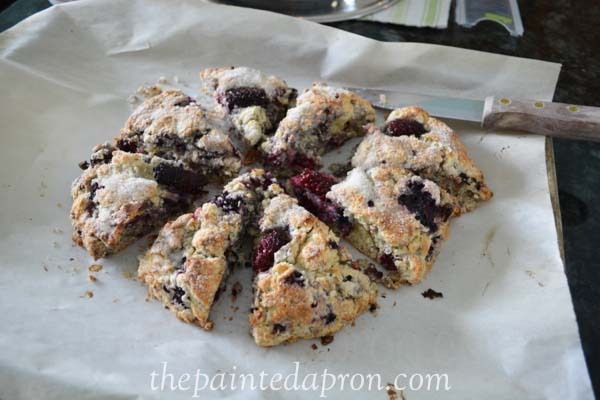 These sound and look delicious Jenna, I’ve never made scones! 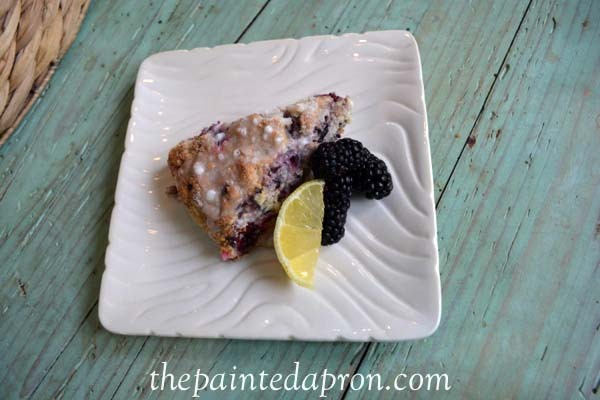 Love the combo of lemon with blackberry. Wishing you a Happy 4th! Just bought blackberries at the farmer’s market yesterday! Happy Independence Day to you! Jenna, these are lovely and great tutorial with nice pics! Just bout blueberries on sale and didn’t know what I was going to do with them. 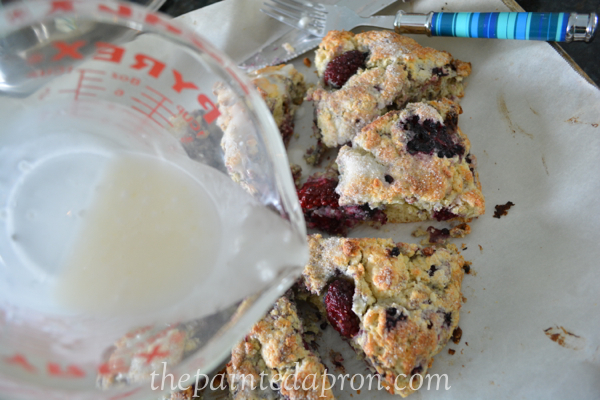 Great idea for breakfast tomorrow!! 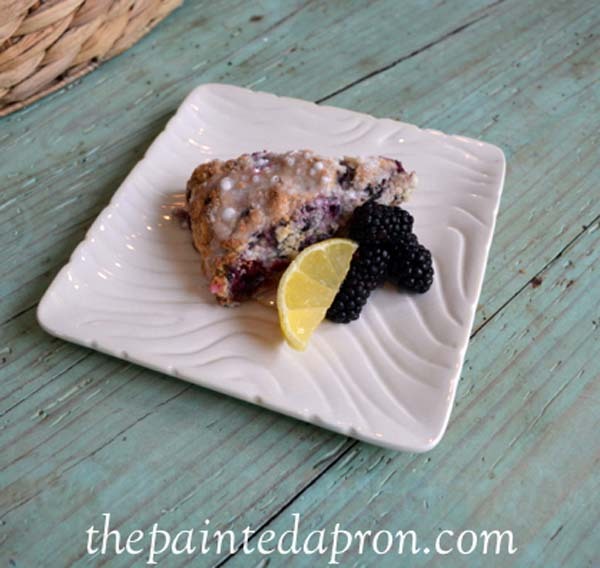 What a great gift, I would love getting this awesome Blackberry Scone! Hope you are have a great week and thank you so much for sharing with Full Plate Thursday.